The source of the lunch crowd is still undetermined, but experts say the source may be "hunger." A new study conducted by the Dean of Students suggests that the lines at Davison Hall tend to be longest around meal time. Though the findings of the study explain when Davison is busiest, it does not explain why Davison becomes “significantly more crowded” around breakfast, lunch, and dinner. Several members of the faculty and student body have offered suggestions as to why the dining hall becomes busy around meals. 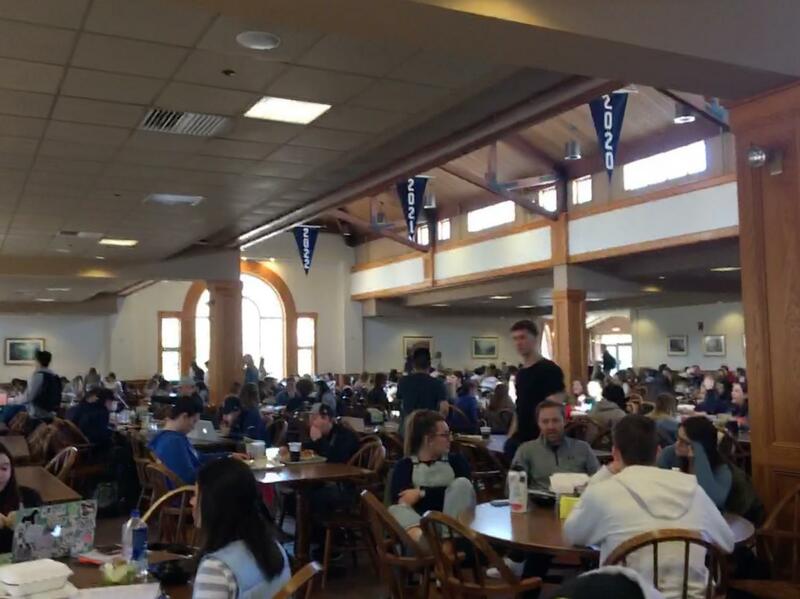 Professor Thomas Larson of the Philosophy Department suggested that the large crowds around meal times can be explained by the fact that most Saint Anselm students are followers of the teachings of the ancient Greek thinker Epicurus. Other members of Saint Anselm College including several vocal members of the student body have suggested that the college’s acceptance of new students each year is to blame for the long lines. Another significant finding of the Dean’s study was that there is more housing than there are students. As one of his last acts as president of the college, Dr. Steven DiSalvo vowed to “close the gap between students and residence halls” by demolishing the Living Learning Commons Building by the 1st of June. The move was unanimously passed by the Board of Trustees and demolition is set to begin by May 13, the first Monday after final exams.